One of my close friends just recently traveled halfway across the world. In the past 8 months, he has been to five countries and three continents. He capped his journey to South America with an Instagram post that stayed with me. He posted a photo of an elderly couple on a street in Lima kissing. The photo’s caption reads, “it doesn’t matter where you’ve been or where you’re going, what matters is who you’re with.” I couldn’t agree more. Traveling is the one of the best acid tests for relationships. It’s good to prepare for the trip itself, but the dynamics with your travel buddy is an entirely different thing. When you travel with someone, you get the chance to see sides of them you would not see while you do the usual things—having dinner, partying, or watching a movie. Traveling with someone could make or break friendships. I think that’s what TUMI wanted to say when it celebrated its 40th anniversary in the travel industry. 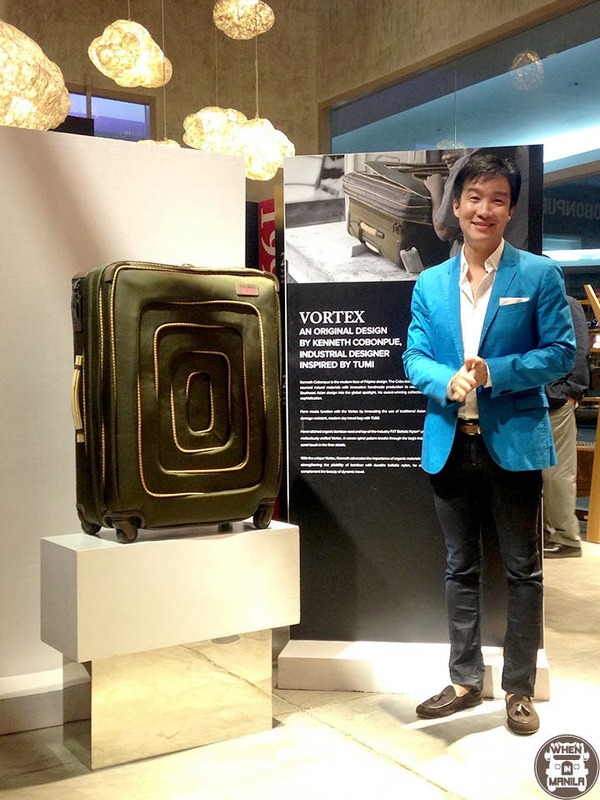 TUMI, an international name when it comes to travel essentials, celebrated their 40 years of providing world-class products last 7th of May at the Kenneth Cobonpue Showroom in Makati. Through the panels distributed around the showroom, TUMI was able to tell me that it matters who I travel with. Alongside the brand’s milestones on the panels were information on historical innovations that the world witnessed as well. It personally gave me the feeling that I was traveling with TUMI products back through time. To be able to grow through four decades is a feat worth celebrating. TUMI reminded me how significant quality really is. I should know; I have had my fair share of traveling with lousy luggage just so I could save a few extra pesos. It wasn’t worth it at all. After walking through the showroom, it made perfect sense to me why they invited renowned Filipino and Chinese industrial designer Kenneth Cobonpue and Jamy Yang, respectively, to design for them. If you’re going to travel, if you’re going to explore, if you’re going to go to places no one has ever been, you want to be in good hands. Kenneth Cobonpue with Vortex. See those wooden-colored lines on the luggage? That’s bamboo.